An assortment of green or green and white wedding cakes with pink flowers! 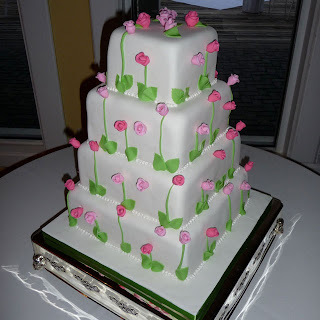 Three tier round wedding cake with bright pink flowers. Four tier green round wedding cake with bright pink flowers. 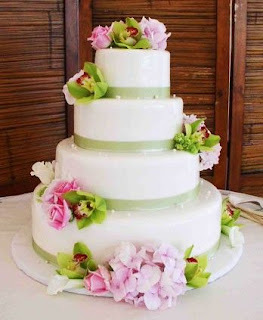 Four tier white round wedding cake with green trimming, green orchids and pink roses. 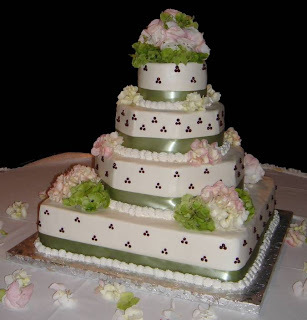 Four tier multi shaped wedding cake with green trimming and light pink and green flowers. 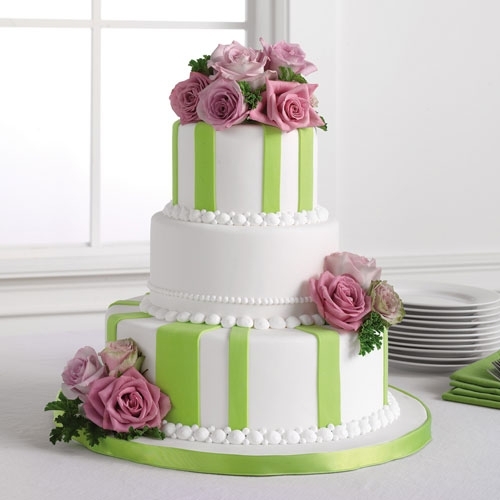 Elegant green and white wedding cake with pink roses. 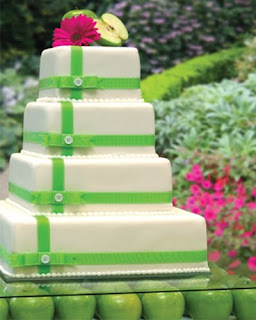 Four tier white square wedding cake with green ribbons and fuchsia gerbera daisy and a sliced green apple as a cake topper. 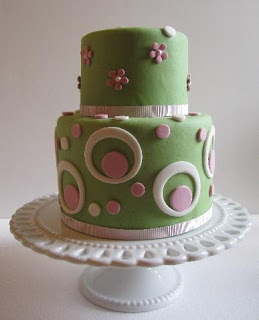 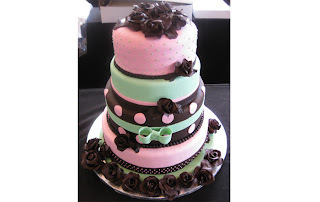 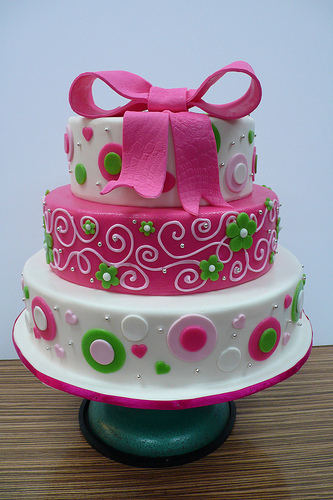 Green, pink and white two tier cake decorated with circles and swirls and topped off with a big pink bow. Square white wedding cake set over four tiers and decorated with green stemmed pink sugar roses. A modern green pink and brown wedding cake with chocolate flowers.